And there it was, nestled in the mailbox, along with something about Vote Positively, Love New Zealand and A Brighter Future: my voting papers and my red carpet sneak preview of the 2014 official party list. I could hardly contain my excitement. The disappointment has been palpable. A brief glance confirms that austerity has not only hit people’s wallets; it has forced the demise of a number of classic fringe parties that have been the cornerstone of New Zillund democracy. What has happened to Libertarianz? Whither the 99MP Party? 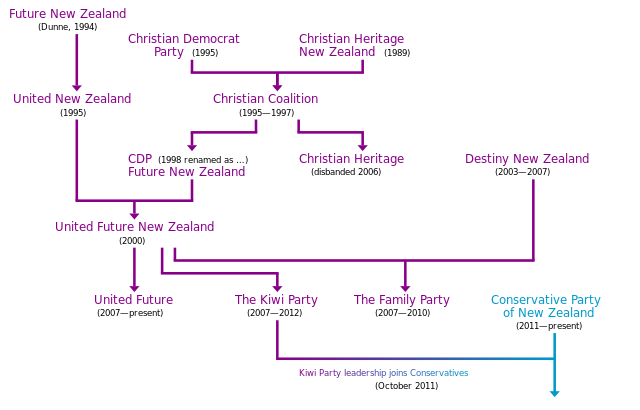 Even the ill-fated Kiwi Party has morphed into something quite different. After my initial dismay at this rather thin document, a cursory glance at its contents soon restores my faith in its evidence of a robust democracy potential for jaw-dropping comedy. 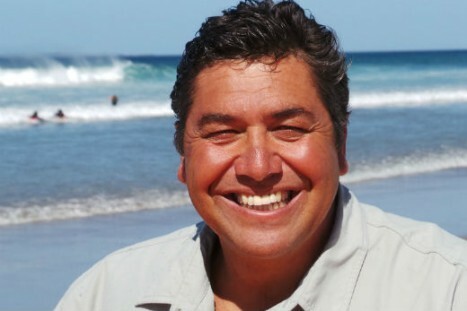 The exotically-named cabal of Aotearoa Legalise Cannabis’s list, just aching for the freedom to ingest one chemical, are immediately before the troofers of Ban1080, grimly committed to eradicating another from our ‘pristine’ environment. Perhaps an Internet-Mana style team-up could pay dividends. And you can’t smoke it either, so it probably should be banned. Don’t forget the old favourites: Democrats for Social Credit are the latest outfit to promote, er, Social Credit, which was all the rage in 1981, but is now as quaintly and embarrassingly retro as The Human League. And no sniggering at the back at their ambitious list of 35. Weighing in at 41, it would be mean to suggest that act‘s list is a tad optimistic – perhaps they will all fit into Epsom. The Greens have found their Mojo in recent elections, and Sage is an apt choice for their list. Though not as aptly-named as former National MP Katharine Rich [enough of the lame puns, or you’re fired – Ed.]. Then there are the new pretenders: Focus New Zealand (Warning: this site will autoplay a clip of a man with a large moustache) seems to be a coterie of Northland beef farmers and midwives. Focusing. On New Zealand. On the issues that matter. Naturally. And I’m delighted to see a former student of mine making the most of his extensive education by sitting at a dizzy 6 for the Civilian Party. Sounding like a fringe sport governing body, NZIC (Warning: dubious link, not approved by Assange and Snowden) turns out to be Brendan Horan’s mob, who earnestly reassure us that they will not be Muppets Puppets in Parliament. Bless, as Colin Craig might say. Indeed, if you can be bothered to read candidate bios, a common theme emerges that they are proud not to be career politicians. This will be the election when the independent voice of the fearless iconoclast will rise up and be heard. Honest-to-God Kiwi battlers from provincial heartlands will finally stick it to Wellington troughers. Who can resist the promise of Less Politics, More Democracy: as vague and meaningless a slogan as from any Orwellian fantasy? This has always struck me as an odd logic, since a doctor or a mechanic who proudly touts his naivete and lack of experience, would be far from reassuring. Politics is different, apparently. 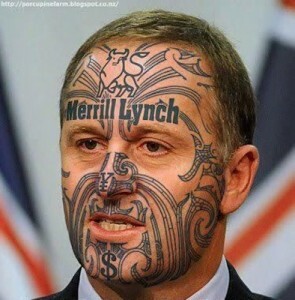 All that remains is for John Key to proudly declare on the eve of the election that no boy from a state house could be ever be thought of as a career politician. 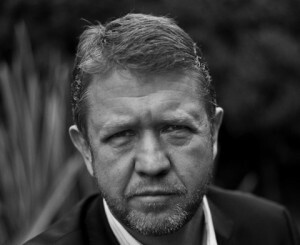 David Cunliffe will then frantically issue a press release to apologise for being a politician. And cutting through the nonsense and hoopla, this is what it will still come down to: ShonKey v. Silent T. Dirty Politics v. Hapless Politics. The smiling assassin v. the man who said this. Ouch! Yes, it was taken out of context; yes, there have been scandals and pratfalls from TeamKey too; yes, anyone who makes such a bold statement against domestic violence must be a decent man under the smug demeanour. But this will be the sad epitaph on a one year leadership of death by a thousand self-inflicted cuts: the CGT fiasco, the skiing holiday mid-campaign, setting up a private trust for campaign donations while excoriating other parties who used such trusts, calling parts of his caucus scabs, throwing mud at National over their contact with the police regarding Donghua Liu, only to watch it spray back over him as it was revealed he had written a letter on Liu’s behalf. In short, Labour have gradually haemorrhaged around 10% in the polls over this period. It hardly needs mentioning that most of the Labour parliamentary caucus cannot stand him either. Rightly or wrongly, if the polls are correct, many voters are less concerned by National and the Dirty Politics / GCSB saga, and more troubled by Cunliffe’s competence. Even with horns on his head, he’ll get close to 50%. This Russell Crowe look is surely worth a few more votes? And despite this being one of the most voluble, volatile, nasty, silly, petty, screwball campaigns in memory, it still all feels quite safe and unthreatening beneath the cant and hysteria. Ultimately, laconic Kiwi common sense will be restored, and 120 or so relatively normal, reasonably diverse and mostly harmless people will settle into their Beehive seats, for three more years at the tiller of SS NZ. After all, apart from the big ticket policy clashes which dominate the media, most policy is evaluated soberly in cross-party select committees; when it finally reaches the House for ‘debate’, the placid proceedings are in marked contrast to PMQs. If it’s radical you want, hop over to Sweden; in amongst the neo-Nazis and euroloonies, a feminist party may hold the balance of power. I rushed to their party website, to check out their candidates policies. Oh ja! Interesting times ahead in the land of Abba. Not actually one of Sweden’s newest MPs. My predictions? National won’t get 50%. Labour were similarly on track for governing alone in 2002, but ended up with 43%. And I’m confident hopeful that Labour won’t plumb the depths of the 20.9% National managed in their 2002 nadir, although at around 25-26% it will still be an awful night for them. There will be some individual electorate shocks for both left and right, with perhaps fatal consequences for one of the minor parties. And National will do a deal with Winston. And that will be that. For a truly seismic vote, with the kind of campaign rancour that makes this election seem civilised, look at Scotland; I’ll try and post a wee blog on that before the polls close there later. I was about to chuck the list in the bin, when the final party on the list caught my attention: United Future. 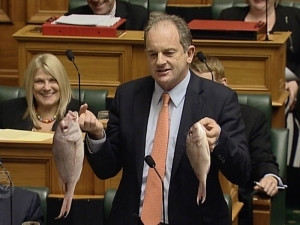 I was hit by a wave of nostalgia for Peter Dunne’s big moment in 2002, or a wave of something at any rate. Younger voters would hardly credit it now, but the bouffant-haired maestro actually held the balance of power 12 years ago, gaining a mammoth 8 seats. As the major parties bickered over GM corn, in the minor parties’ debate, the bland centrism positively crackled from Dunne’s garish bow tie. Now, there are just 11 names on the entire list. What happened? Perpetual coalition, that’s what. If you’re always going to get into bed with whichever of the big two has the better numbers, you’re not giving the voters a good enough reason to vote for you. It hasn’t been a great term for Dunne either. The GCSB leak scandal and subsequent resignation has made him look rather vulnerable all of a sudden. Rumours of a tightening race in Ohariu abound. As this graphic shows, his rise and fall has been a bewildering mish-mash of defections, amalgamations and naked opportunism. As the wolves howl amidst the tumbleweed outside his Johnsonville bunker, Peter plucks a stray hair from his eyebrow and grimly girds himself for the battle ahead, alone in his thoughts. The ribbons at the school fairs have all been cut; every last ounce of credit for Transmission Gully has been squeezed out. The whispers of change are swirling from Crofton Downs to Tawa. He notices a scrap of paper – the back of an envelope. It charts a path to Prime Minister. Wistfully, he studies the date in the corner: 1994. He absently turns it over and sees it written in capital letters, double-underlined: INCOME SPLITTING POLICY. He smiles the smile of the poker player clutching his last ace. Dunne’s never done.